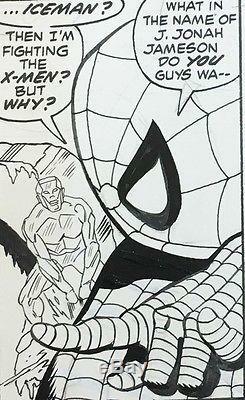 This is the original artwork to Marvel Team-Up #4 by Gil Kane & Steve Mitchell. 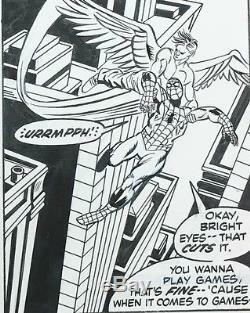 It features classic art of Spider-Man battling Iceman & Angel from the X-Men. This is a rare page from a key 1970's appearance of the X-Men. I had not planned to sell this page until I was old & feeble, but I'm feeling a bit old & feeble today, so here it is. The pages is signed by Kane & Mitchell. The color on the left panel is zip-a-tone. 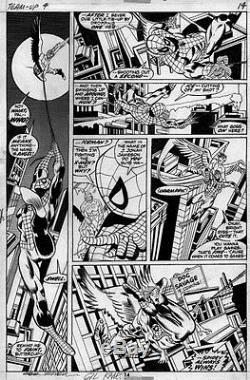 The item "Gil Kane X-Men & Spider-Man art from Marvel Team-Up #4" is in sale since Sunday, July 17, 2016. This item is in the category "Collectibles\Comics\Original Comic Art\Other Original Comic Art". com" and is located in Rocklin, California. This item can be shipped worldwide.